The act of decluttering and home organisation was once a casual ritual carried out at home, in private and rarely the topic of conversation. Now (thanks to a certain Netflix show) what was once a spring clean that happened once a year, has now become a cultural, worldwide phenomenon in its own right, bringing with it the use of buzzwords like ‘decluttering’, ‘sparking joy’ and ‘tidying up.’ The notion of decluttering and organising has more recently been applied to all areas of people’s lives, from decluttering email inboxes, to tidying up friendship groups. But why has the tidying up movement captured our imaginations? In a time of social and political turmoil, the act of tidying up has become a way for people to take back control (at least of their homes) and strip back, overhaul and organise. We live in a world where we are constantly bombarded by decisions, meaning our days are defined by decision making – from the trivial questions like ‘what should I wear today?’ to the life-changing: ‘where do I want to take my career?’ The desire to strip back, simplify and organise is a reaction against the barrage of decisions we’re forced to make everyday, and a way to make our decisions as frictionless as possible. For example, an organised, capsule wardrobe in your home means you can spend less time deciding what to wear and can give more consideration to making those potentially life shaping decisions. 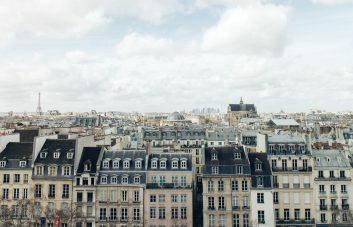 The renewed focus on sustainability also plays a big part in the tidying up movement, with the idea of buying less but buying better becoming increasingly mainstream. People are filling their homes with less ‘stuff’, preferring to invest more money in quality items which will stand the test of time. 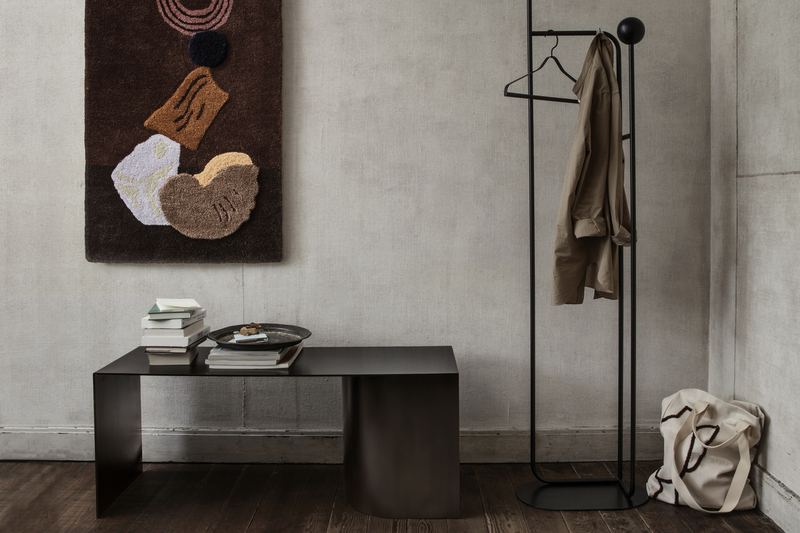 It’s also a great excuse to invest in some stylish new storage solutions – need we say more? Convinced that you need to declutter? We know that thought of decluttering can be a daunting thought, which is why we’ve created a 20 step guide to stripping back and organising your home which will hold your hand through the whole process. Organised into three phases, we’ll be guiding you through decluttering, storage and organisation, ending with tips to help you maintain your newly transformed and tidied home. In your new role as a home organiser, a plan is the most essential but often forgotten step, especially if you’re looking to tackle an entire home. Spend at least an hour putting pen to paper and mapping out your decluttering plan – you might even want to think about what new storage pieces you’ll need to buy and from where. Think about what your overall aim is, how you’re going to approach it and where you’re going to start. It’s also important at this stage to decide what are you going to do with all the items that you’re not keeping, and how you’re going organise which items are going to charity, in the bin or to a car boot sale. Take before photos of each room you’re going to tackle and use these to work out what needs to be done in each room. For example, in your living room the bookshelf will probably be in need of organising, and in your bedroom it’s likely that sorting through your wardrobe needs to be done and will take the most amount of time. Decluttering, especially on a big scale, is not an activity that you can start and leave unfinished, so make sure you’ve set aside adequate time to get the job done. Be realistic about when you’re going to do it – how likely is it that you’ll want to spend 3 hours tidying after a long day at work? Setting aside a Saturday or even a whole weekend might seem like overkill but if you finish early, it just means you’ve then got time for socialising. Planning a decluttering weekend also means you can enlist a friend or significant other to help and to provide moral support. How do you want your home to look at the end of this? Maybe you’ve got a Pinterest board for inspiration or maybe you have an idea in your mind, either way, hold on to it and keep it front of mind, especially when you move on to the storage and organisation phase. Distractions are the enemy of anyone in the midst of a huge tidy up – start by putting down your phone and turning off the TV as a first step. It can be very easy to get distracted and side tracked, especially when you’re sifting through sentimental items or mementos, as you can find yourself reminiscing as you flick through a photo album. Our advice? Make a pile of items that you want to properly look through and once the tidy up is done then it’s time to take a trip down memory lane. One of the reasons why it’s important that a decluttering project isn’t started and then stopped, is because one of the best ways to help you decide what to keep is to unpack everything in the section you’re organising into a huge pile. You don’t want to be left with huge piles of clothes and objects around your home. This method of decluttering works because it gives you better perspective of the quantity of items you own and will ultimately help you edit it down to just the items that you love. It’s particularly powerful when it comes to clothing, as most of us are guilty of hoarding items of clothing that we don’t wear, don’t fit us or even enjoy wearing. The majority of us have hoarding tendencies with a habit of holding on to objects that we think might “come in handy” or keeping pieces of clothing that we never wear. The hard and fast rule amongst expert declutterers is that if you haven’t used or worn it in 6 months then it’s time to say goodbye. The alternative KonMari method encourages you to hold each item and to register whether it ‘sparks joy.’ Whatever your preferred method, be ruthless and hold onto the vision of your newly tidied home if you feel yourself unable to let go of items. It’s no secret that the process of decluttering, while cathartic, can get a little repetitive and it’s in these moments of boredom that throwing in the towel seems like extra appealing. Do whatever you need to keep yourself motivated; we recommend playing a favourite playlist, lighting a scented candle, taking a 15 minute Instagram break or chatting to a friend for a burst of motivation. You’ve done it! Take the time to acknowledge the immense work you’ve done. Reward yourself by popping out to your local independent coffee shop for a flat white, doing a face mask or sitting and reading a book and soaking in your newly transformed living room. The hard work is nearly over. Now you’ve worked out what you’re keeping and what you’re donating to charity or throwing away, it’s on to the fun part: storage and organisation. The act of decluttering your home is the perfect excuse to invest in shiny new storage that’s both practical and stylish. Whether it’s a set of design-led shelves, new storage boxes, in-drawer organisers, storage jars, take this an opportunity to upgrade your storage solutions to items that you really love. The key is to not think of storage solutions as merely practical, they should spark joy for you as much as the items that they hold. Explore different styles and different materials depending on what their purpose is – we love fabric or wicker for laundry baskets and ceramic or stoneware for storage jars to be used in the kitchen. The process of editing your belongings is the first step to decluttering and simplifying your life, however taking the time to organise, fold and store your stuff will help simplify and streamline your everyday life. It may seem trivial but allocating time to organising your underwear drawer is a simple solution to ease the early morning panic when you can’t find a matching pair of socks. 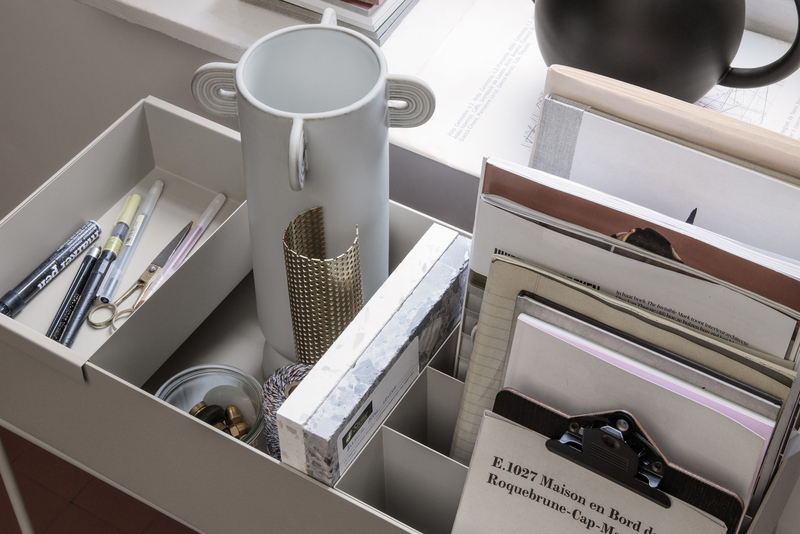 This is where in-drawer organisers come into their own by helping us more clearly see what each drawer contains and makes our items more easily accessible. Small tips, tricks and hacks like this reduce the friction of the tasks we’re required to do everyday, like getting dressed. There can be a tendency when organising and storing items to lock them away in a cupboard under the stairs so they’re out of sight. For items that you don’t use everyday that’s fine but for items you need everyday, make sure they’re easily accessible, as storing them away somewhere inaccessible will only create more mess when you have to dig them out. A forgotten space in our homes, hallways and entrances are an essential space as it sets the tone for your home for guests and also for yourself. Often the dumping ground for coats, shoes and keys, mo one wants to arrive home after a long day at work to be confronted by a mess of coats and umbrellas thrown messily in the corner. Pay extra attention to your entrance way and invest in coat racks, shoe storage, cabinets and trinket trays so you can keep your hallway looking welcoming for visitors and for yourself. In search of more tips to make an entrance with your hallway? Our handy guide to decorating hallways and entrance spaces is here to help. The majority of us aren’t blessed with the luxury of expansive space, so we need to get smart with how we store objects and organise our homes. 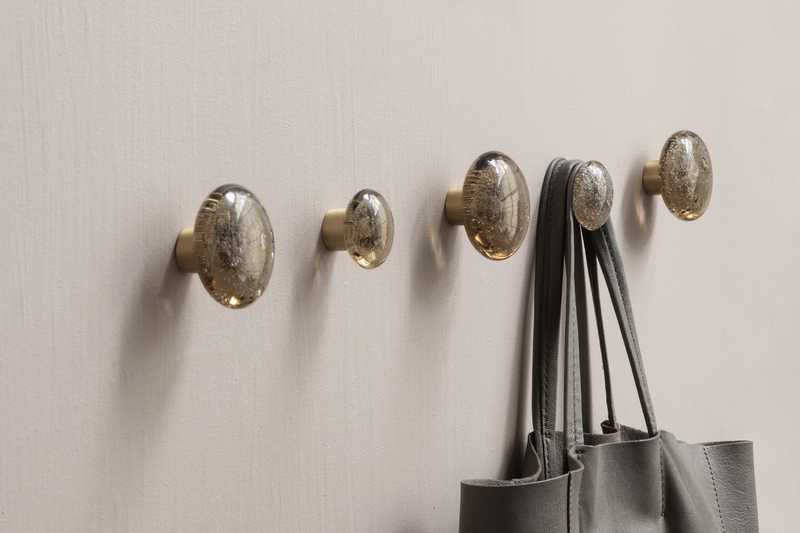 For homes short on space, look to the walls and invest in wall racks and wall hooks as a way to store your stuff. 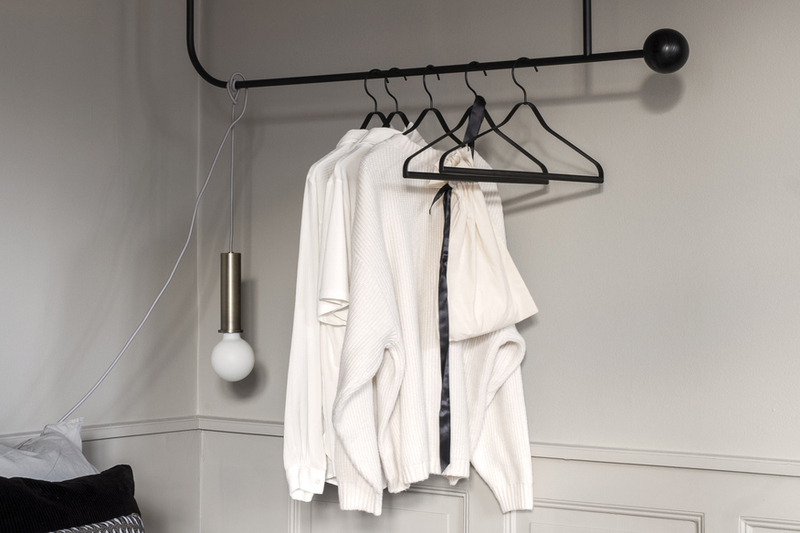 There’s an array of design-led, alternative hooks and racks with Nordic brands like Muuto and Vitra designing super stylish pieces. On the theme on using your walls, shelving and wall units offer a stylish solution for space-poor homes. Not only do shelves allow you to display your most treasured items that spark joy, but they’re also a great way to help store and organise your home. 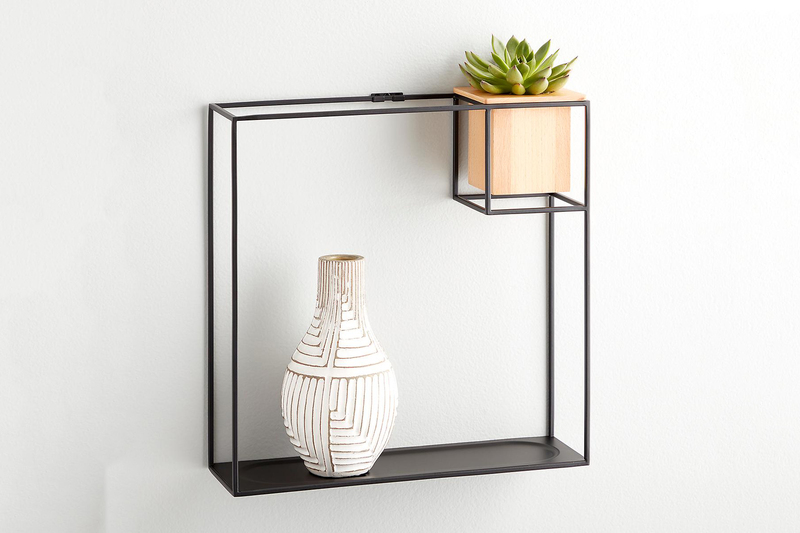 We recommend investing in a statement shelf that adds interest to your walls – Danish brand Madam Stoltz is leading the way on creating unique shelves and wall racks, made of trending materials like bamboo and cane. 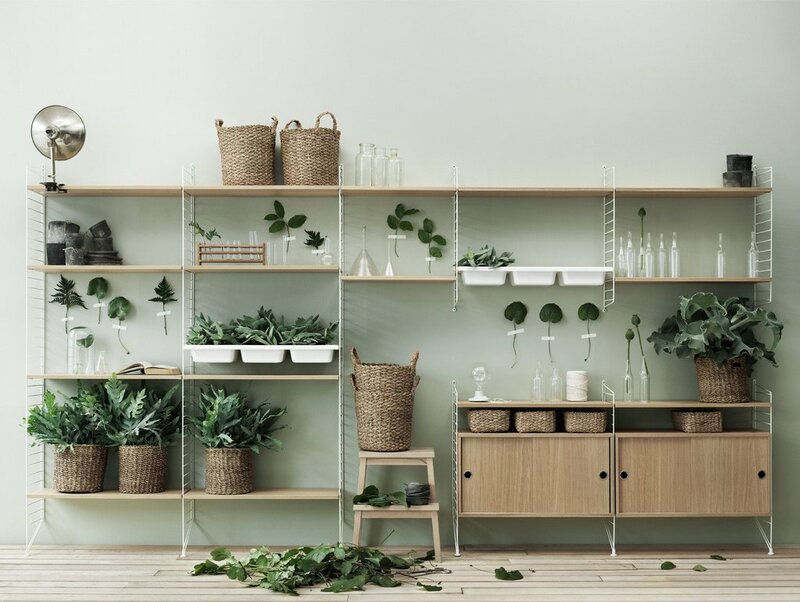 For those who prefer a more minimally designed shelf, the iconic String shelves come in a variety of beautiful colours and materials to work in every home and for every style. Whether it’s storage baskets, storage boxes, drawer organisers, under-bed storage, make up organisers, or storage pots and jars, storage boxes are your new best friend. Not only will storage boxes help you find what you need, they’ll also help you maintain your newly tidy home long-term. There’s a huge array of different styles of storage boxes and baskets available to suit every home, so don’t just opt for all plastic boxes. Why not add a natural touch with wicker baskets? Or for a more industrial look, opt for metal wire baskets. 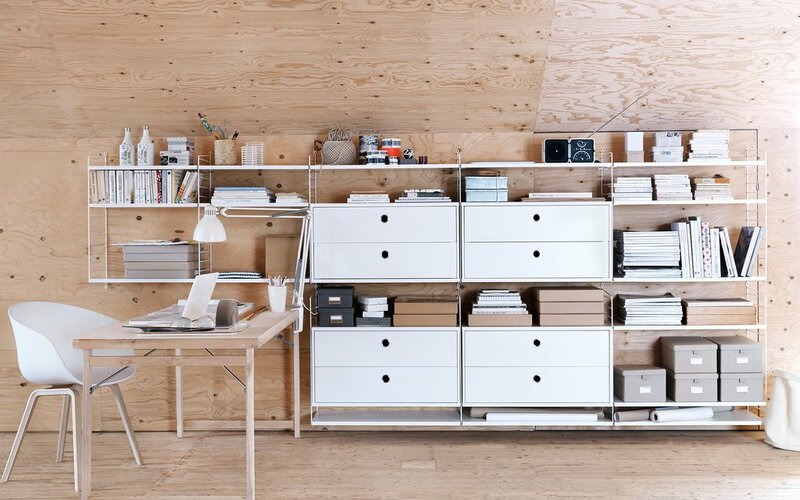 Thanks to advances in design, there’s a wealth of multi-functional homeware pieces available that make storage and organisation in smaller spaces a breeze. What are the best multi-functional storage pieces to invest in? 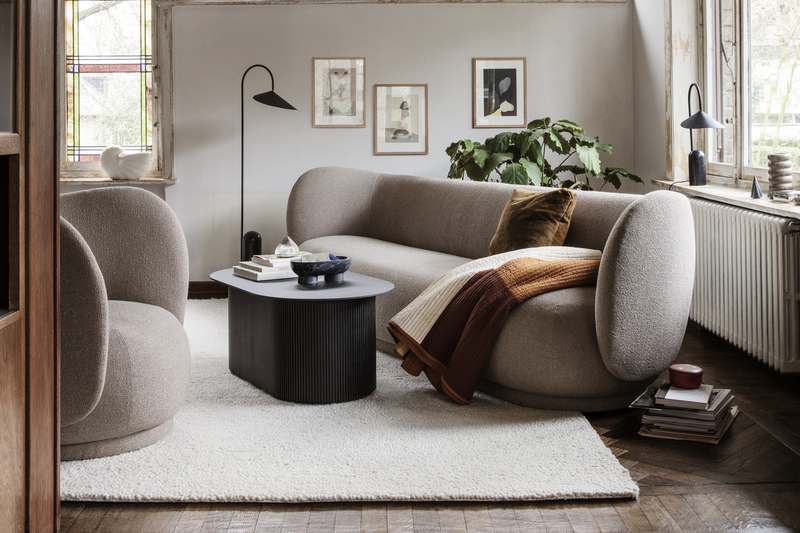 A pouffe with storage space inside is a practical option as it can be used as seating, a footrest or even a table, as well as having space to stash away your stuff. 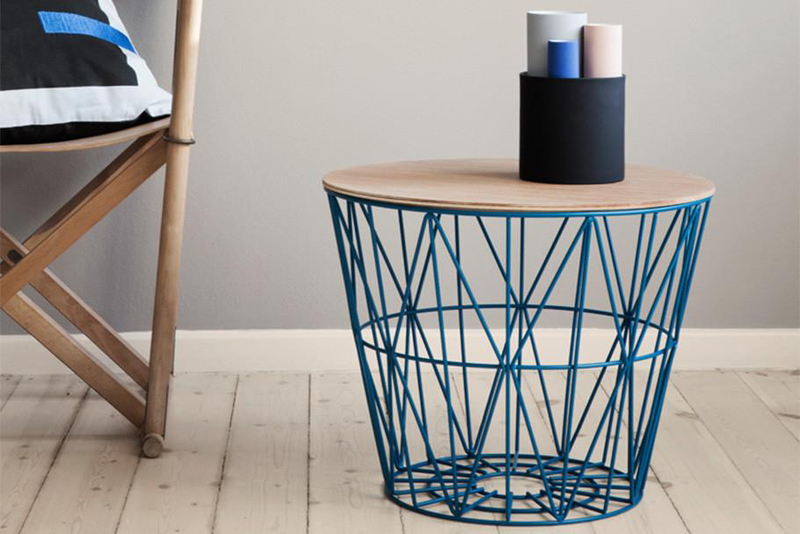 A wire storage basket with a lid functions as a storage solution but also a small side or coffee table. A mirror and organiser combination makes the perfect addition to dressing tables as it provides a compact place to hold your make-up and toiletries while you’re getting ready. If you’re sick of the sight of a tangle of wires then consider buying a cable tidying organiser from Bosign which is made multi-functional by the fact it hides wires but also provides storage space. You’ve spent time decluttering your home and now it’s time to show it off. Creating a space that feels like home is a key step in getting the most out of your newly decluttered home. Decluttering and tidying up is a great place to start, but consider what other small touches you can add to make your home feel like your own. 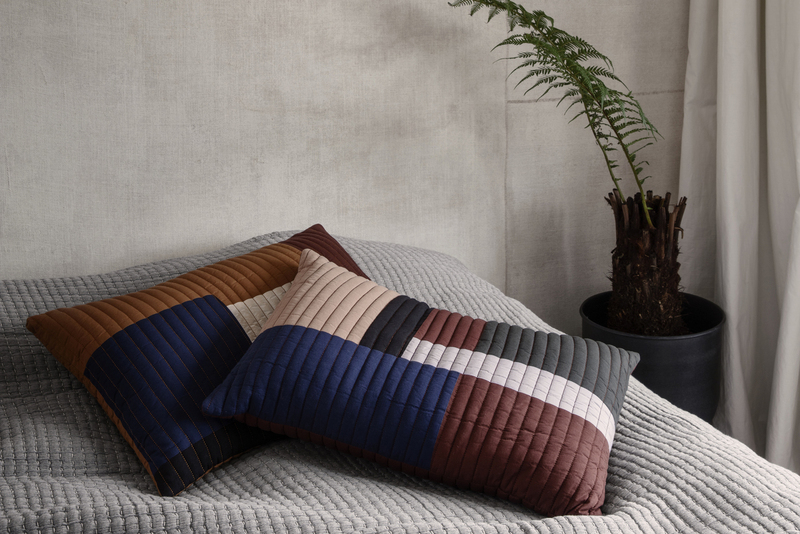 A botanic touch in the form of plants either real or fake, an inspiring work of art or print, or your favourite set of cushions, are all options to consider. Increasingly our homes are becoming sanctuaries and refuges from the sometimes scary world outside, so make sure that this is reflected in each room in your home. 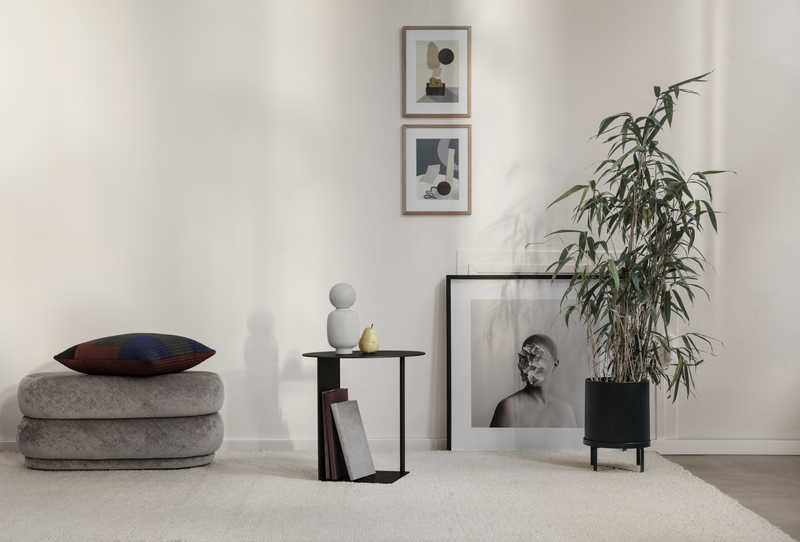 Look to add small flourishes like scented candles, room diffusers, standout vases, fun plant pots that add visual interest and help create a relaxed, zen space. Pay extra attention to spaces like your bedroom and bathroom, as these are spaces in which you start your day and practise your everyday rituals like skincare, sleeping and perhaps meditation. 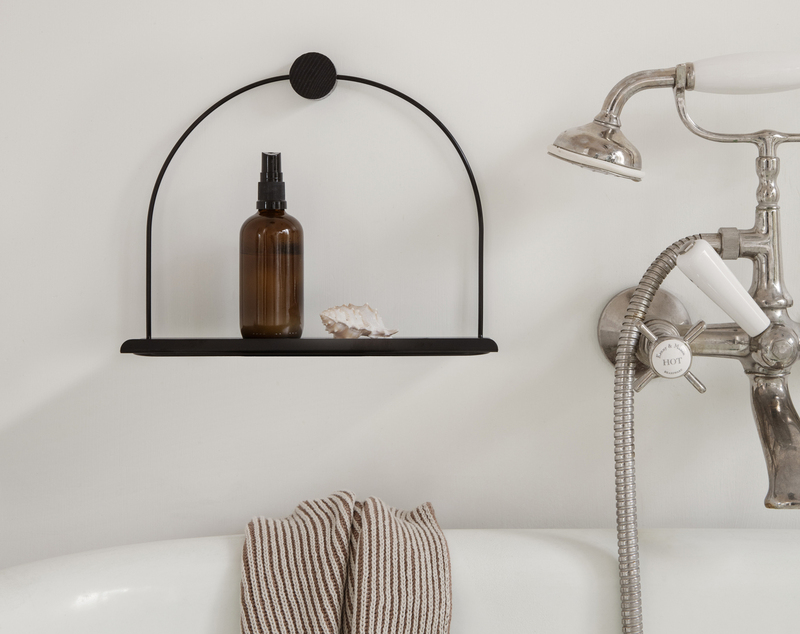 Make sure you’re starting each day on the right foot by stepping into a relaxing bathroom filled with trailing house plants, products for bath and body as well as plush hand and bath towels. Your home is decluttered and your storage has been solved, so what next? The bulk of the hardwork is over but there’s one final, crucial phase: maintenance. Your newly spruced up home will only stay that way if you’re vigilant in maintaining it and not letting the clutter creep back in. The final phase of this guide contains tips to help you maintain your newly organised home. Breaking the habit of impulse purchases and buying throwaway items can be hard. Our advice? Everytime you’re thinking about buying something, be it a piece of clothing or homeware item, think about what and how you’ll use it and, crucially, where it will live in your home. Considering both of these questions will deter you from making unnecessary purchases that will ultimately re-clutter your space and drain your bank balance. Our hectic lives and culture of consumerism make re-cluttering in your home inevitable. 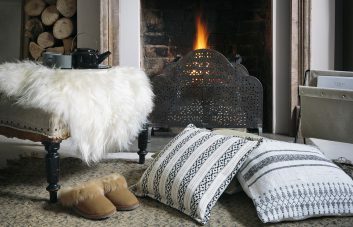 After an exceptionally busy day, we’re all guilty of throwing down our bags, lounging on the sofa all evening and ultimately allowing the clutter to creep back in. The antidote to recluttering is to live by the mantra ‘little and often’ – schedule a time each day for a routine tidy in your home, focusing on clearing surfaces and floors and those high traffic areas like the hallway and kitchen. 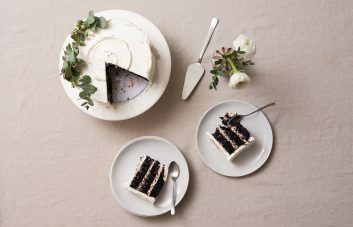 By allocating a small amount of time everyday to tidying up, your home will remain a decluttered dream and a relaxing retreat from the outside world. From decluttering to storage, our 20-step guide to tidying up your home and your mind is over. As with many activities that are worth doing, there’s no magic wand you can wave to make all the clutter in your home disappear, but we guarantee that the sense of calm and simplicity once the declutter is done will override any negative feelings you experience during the process. In an increasingly chaotic world, the more we can simplify and edit our homes and lives, the better equipped we’ll feel to tackle whatever the world throws at us. Inspired to declutter and searching for stylish storage? Look no further than our selection of storage solutions and consider your storage needs solved.